Continuing Professional Development (CPD) is an activity performed to enhance productivity, knowledge and skills. The principle underlying CPD is that continued learning is essential to improve work place skills and to enhance personal expertise and communication. CPD assists in the maintenance of high standards throughout any kind of career. 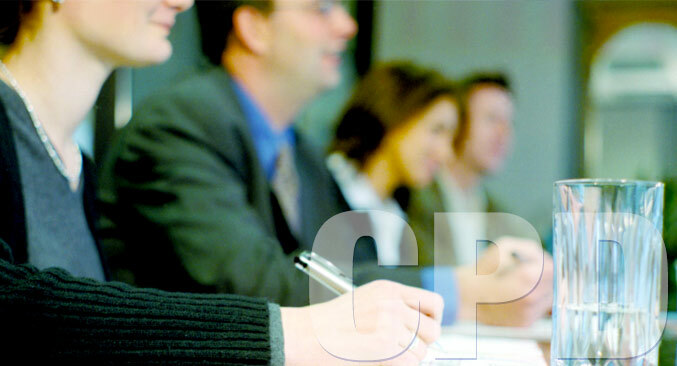 CPD courses offer the opportunity to gain up-to-date knowledge of procedures and policies within a profession or industry, as well as affording opportunities for personal development that will enhance performance in the workplace. CPD is becoming extremely important for individual success and is in fact mandatory in some professions. CPD is the key to enhancing career prospects and personal growth. CPD allows the participant to become more motivated and efficient during everyday tasks, enabling responsibilities to be carried out more easily and with more confidence. By keeping abreast of current practices, and implementing newly learned techniques and methods, confidence is increased which in turn allows a person to use initiative and efficiently make decisions. By meeting objectives and showing mental agility, ambition and talent is recognised thus improving career prospects. By working on personal skills during CPD courses, the resources will be there to cope with organisational changes and enables the employee to deploy the versatility traits needed in today’s work place. Concentrating on training and development throughout a career, it becomes easier to set new career goals and challenges and have the skill set to achieve them. By investing in CPD courses it shows to employers and colleagues that the job role is taken seriously and the business has a committed employee. The growth of organisations depends as much on the workforce as the product. Successful outcomes within the business due to motivated employees who are constantly upgrading skills and expanding their knowledge base, provide a rich seam of personnel to be considered for promotions and changes of role within the organisation. It becomes easier for employees to decide on where they want to be in their career and makes the transition much easier as their CVs will show a desirable skill set and demonstrate the qualities of a motivated individual who can hit the ground running. When workers have completed CPD and put their skills successfully into practice, it becomes a logical next step to negotiate salary increases as the proof of their learning is clearly seen and they have accredited CPD points which nowadays are something employers are looking for from their employees. They know the future employee has enhanced communication skills, current day knowledge of technology and processes and the interpersonal skills to successfully implement any project for their organisation. For the CPD participant, the CPD training courses can be recorded and provide a timeline and plan for career progress. Identifying a career path and plan and completing the necessary CPD courses to get to the next stage are essential in today’s job market.